Both BYA and the Saggy Jammers started the season off on the right foot with big wins in Week 1. On paper and on the court these teams appear to be evenly matched, as both teams prefer a more methodical pace - not forcing bad shots in transition, preferring to set up their half court offenses and work the clock. On defense they each like to work between a 2-3 zone and man-to-man depending on match up situations. Look for the score to be close, and the three ball to be vital for both teams in this match up. 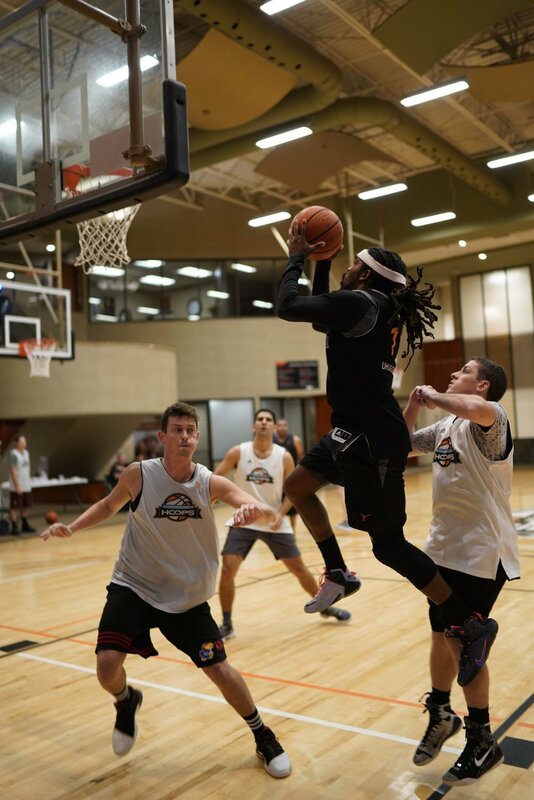 Side Hustle eked out a one-point win in Week 1, while the Scoregasms suffered a tough defeat. This game will most likely be decided in the transition game as the Scoregasms like to create points off turnovers and Side Hustle has arguably the most uptempo fast break offense in the league. If Side Hustle can put pressure on Scoregasms to get back on defense and not settle for transition threes, then they should be on their way to 2-0. The Shockers are entering in blind against the Mourning Crew as little is known about their roster. The Shockers are in pursuit of their first win of the season, and with Martin Salinas and Carson Liesfelt as the focal points of a trigger happy offense, they definitely have the fire power to play with anyone. Until more is known about the Mourning Crew, the money should be on The Shockers in this one. Dem Boyz should be hungry for a win after failing to start their championship defense with a win last week, and they should find an easy one against the Free Agents. While nothing is known about the make up of the Free Agents’ roster, their teams usually struggle in the DAC league, and a match up against Dem Boyz will be a tough way to start their season. The Free Agents have a lot to prove in order to gain favorable credibility in these predictions, and a win against the defending champs is one way to gain that respect, but don’t put your money on it.